The North Coast will get the chance tomorrow to take an up-close look at the Eel River, its history and its uncertain future. A River’s Last Chance, an award-winning documentary by Shane Anderson, will screen at the Eureka Theater at 7 p.m., to be followed by a panel discussion with Anderson, co-producer Jason Hartwick and others. Anderson says he’s been working on the film for more than four years, with it becoming all-consuming in the last couple. 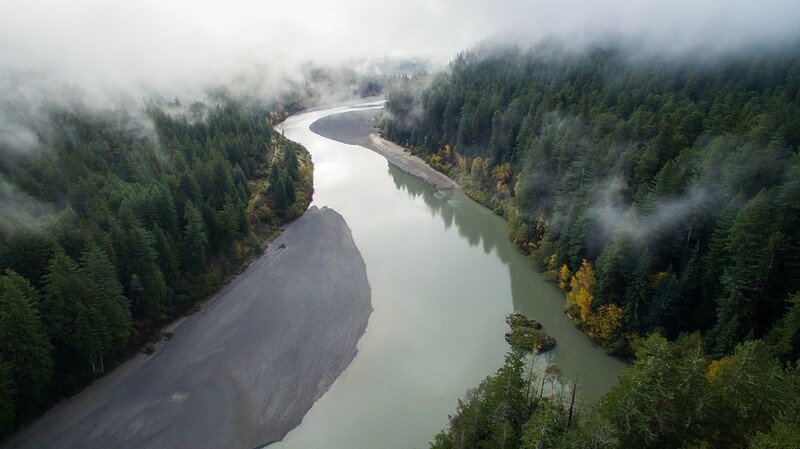 The ambitious film looks at the river’s history, from pre-colonial times through the salmon boom, the timber rush, its damming and the current green rush. As to the current state of the Eel, Anderson said it’s at a critical juncture. Biologists saw a resurgence of fish return to the river in 2012, a sign that the river continues to heal from the devastating 1964 flood and decades of destructive logging practices. But they saw a dip in fish counts this year, which they attribute to when the river ran dry three years ago, the result of a drought year and illegal water diversions to irrigate cannabis farms. The purpose of the film, Anderson said, is to help people understand this critical juncture. “We want to let people know the Eel is a national treasure and it can return to its former abundance if we can give it what it needs, which is more water,” said Anderson, a Washington state native and former professional skier who studied fisheries biology and film at Humboldt State University. The film was executive produced by Pacific Rivers and information about future screenings and an upcoming watershed tour can be found at the organization’s website here. Tickets to tomorrow night’s screening can be purchased here. Watch a preview of the film embedded below.